To be also transparent, I will be posting the source Excel file that I used to generate these figures so that any person can download it, check it, check its formulas and highlight any error that might exist there whether in the numbers or in the formulas. The Excel file will be posted after few days from receiving feedback from friends regarding the figures. By then, I will be updating the graphs if needed, the links and I will post the source Excel file. All votes going for a certain list are counted as people voting for the political vision of that list. The logic used here follows. I know that this might be confusing for some or might be a source of debate. Yet, it is very logical to consider any vote for a candidate for a Tayyar list and any vote for an LF list to be in favor of the political vision of that list. If a non-LF citizen voted for Ziad Houwat in Byblos, his vote should be counted as in-favor of LF simply because Ziad Houwat has allied with LF. The same logic applies in Keserwan for people who voted for non-Tayyar members. Same applies in any other electoral area where independent, non-policital candidates were nominated within lists of parties. The only exception from the above was related to people who are CLEARLY associated with a certain party and allied with another party in a different area such as Elie Marouni in Zahle who is clearly a Kataeb member. As for Independent Candidates like Neemat Frem, for example, their votes have to be calculated as belonging to the party as long as the candidate is allied with the party. This is very logical and makes sense politically speaking. If, at any point in time, the candidate breaks up with the party, then the figures will surely change and will need to be recalculated. I hope this clarifies the logic being used here. By taking the total votes that each candidate received, we can calculate the total votes that each party has received in favor of the party. This leads us to getting a very effective (although not 100%) result of how the votes were distributed across Christian parties. On the other hand, according to the Ministry of Interiors and Municipalities (MOIM), the number of cancelled ballots due to errors was around 1%, on average, across all electoral areas. As such, the numbers mentioned here can be seen as very close to reality even if errors did not take place since results will vary by at most 1-2% per party. The figure below shows the summary of how Christian votes were distributed accross parties. Detailed figures of losing lists are not being available. Yet, based on unofficial lists, there is a total of around 60,000 votes belonging to other independent parties that are not included in the calculation being made because these lists did not achieve the minimum needed and were dropped out. By adding these numbers as a bulk, the distribution was affected by around 9.6%. Yet, these figures were ommitted due to not being precise at all. The links below provide all the detailed figures that were used in generating the results above. If you find any mistake within the files, please feel free to contact me so that I update the files. N.B. Excuse the artistic touch within the files as I didn’t have time to do the aesthetics properly. 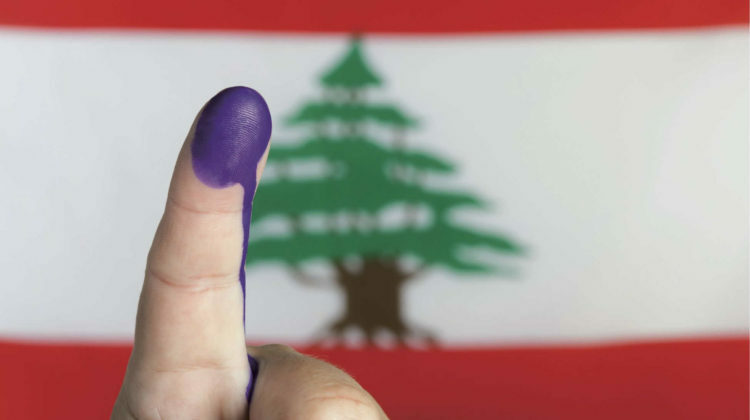 ← Lebanese Governments and Parliaments: The On-Going Digital Signature Crime!